Formpak Software - Formulation & ingredient industries. Formpak offers industry leading support and expertise to all our customers located from California to Australia. 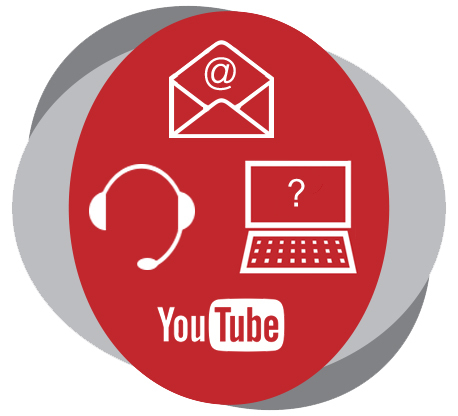 Our UK based Support Team help customers directly via email, telephone and web meetings. 24/7 Support- The Support Centre is the hub for our support and training resources, including over 140 articles. Formpak also has an in-application help centre containing information on each application function. The Training Matrix is a complete catalogue of our support and training resources, with sections dedicated to specific user roles. 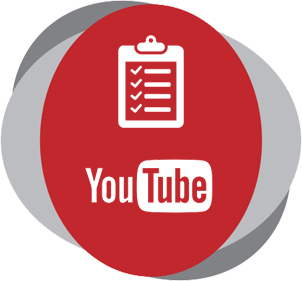 The Formpak YouTube channel features easy to follow training videos. We pride ourselves on helping customers efficiently, understanding the challenges of their business and being responsive and relevant in our support to them. We measured our performance in 2016 by monitoring customer support requests for 4 weeks during September and November. 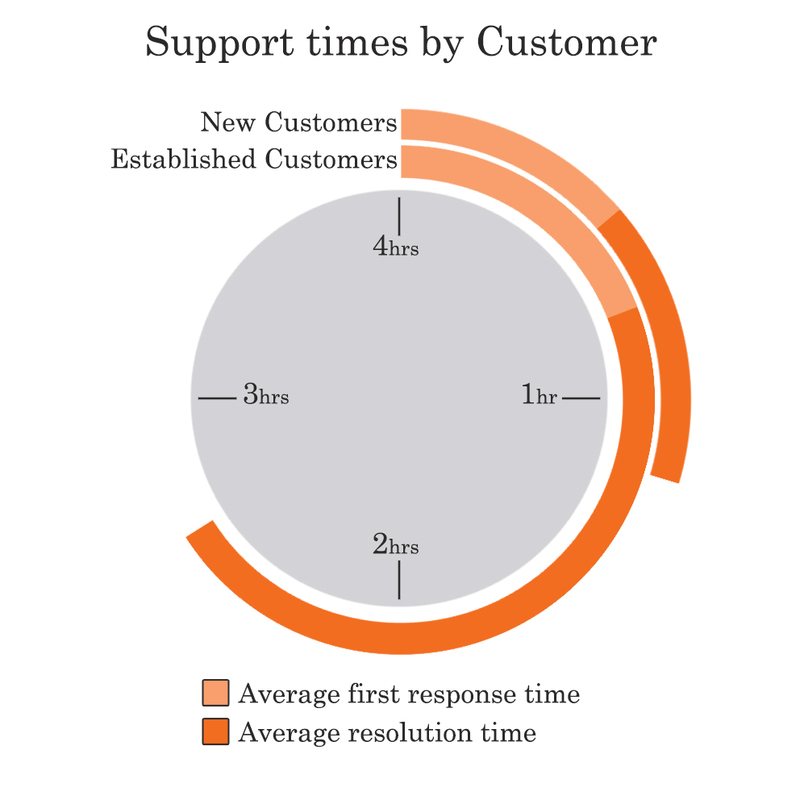 We found new customers had a higher number of support requests relative to the total customer number, generally with requests that were simpler to answer which led to faster response and resolution times, averaging 33 minutes and 93 minutes respectively. By topic area, regulatory first response times were fastest at 37 minutes, but the complexity of the questions led to the longest resolution times with an average of 3 hours and 19 minutes. An overview of the results are reported below. 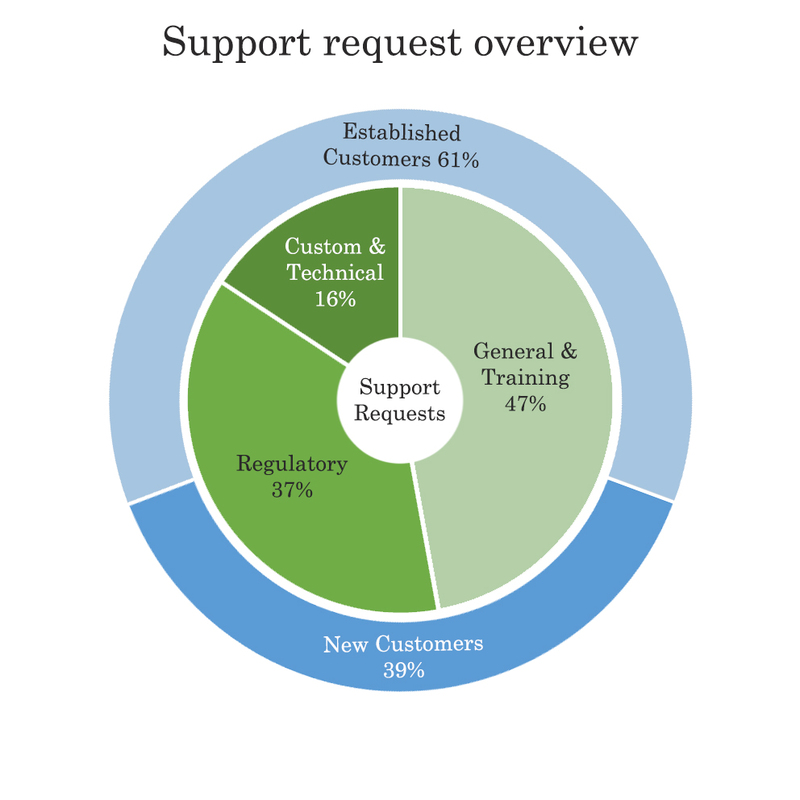 We asked Formpak customers to rate our software and support in 5 key areas. The results for the survey undertaken in November 2016 are below. Thanks to everyone who contributed and we will strive for even higher ratings in 2017.